Your search found 18 image(s) illustrating the term "lenticel." 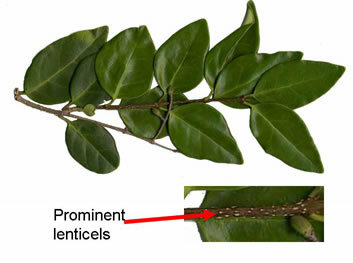 For a written explanation, click on "lenticel" in the Glossary. 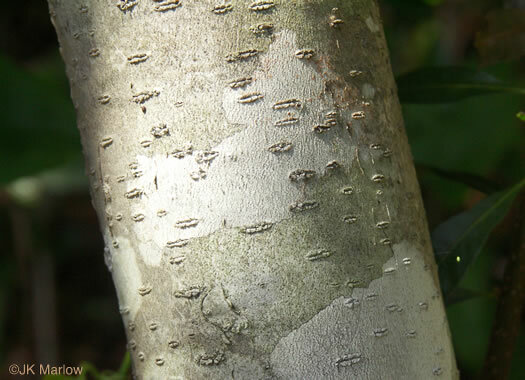 Bark whitish to gray, thin, smooth, with conspicous horizontal lenticels, per Native Trees of the Southeast, An Identification Guide. 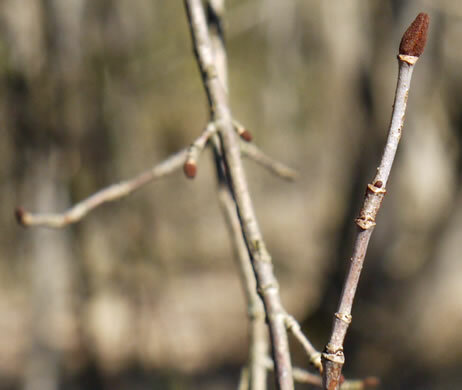 Twigs moderately slender, reddish-brown, smooth, with pale lenticels, per Native Trees of the Southeast, An Identification Guide. 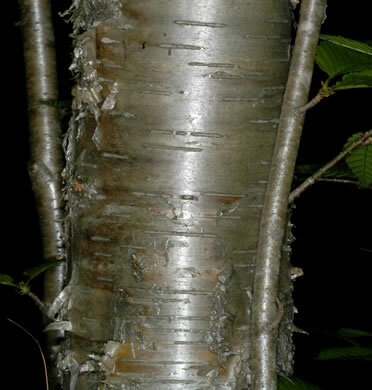 Bark silvery-gray or shiny yellow, horizontal elongated lenticels, peeling, per Woody Plants of the Blue Ridge. Twigs gray to shiny chestnut brown, glabrous, with numerous white lenticels, per Native Trees of the Southeast, An Identification Guide. 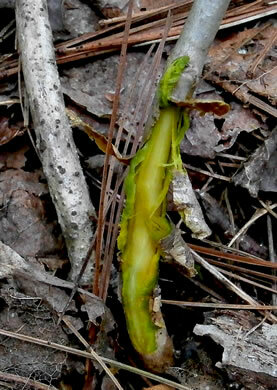 Twigs moderately stout, lenticellate, with bright yellow inner bark, per Woody Plants of the Southeastern US: A Winter Guide. 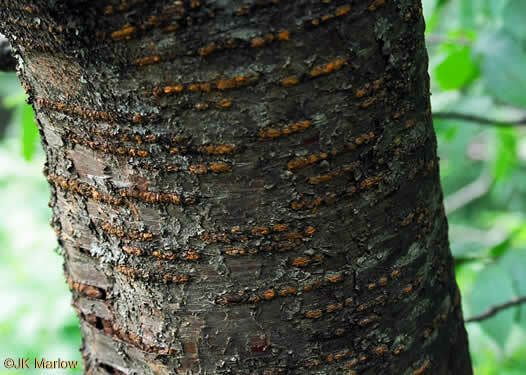 Bark thin, dark, smooth but with raised, conspicuous lenticels, per Woody Plants of the Southeastern US: A Winter Guide. Orange lenticels, per Trees of the Southeastern United States. Lenticels horizontal and conspicuous when the tree is young, per Native Trees of the Southeast, An Identification Guide. 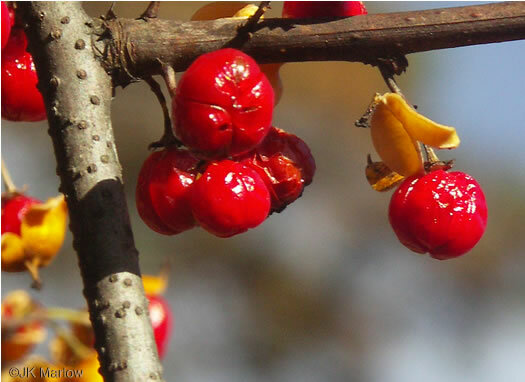 Lenticels conspicuous, per Woody Plants of the Southeastern US: A Winter Guide. 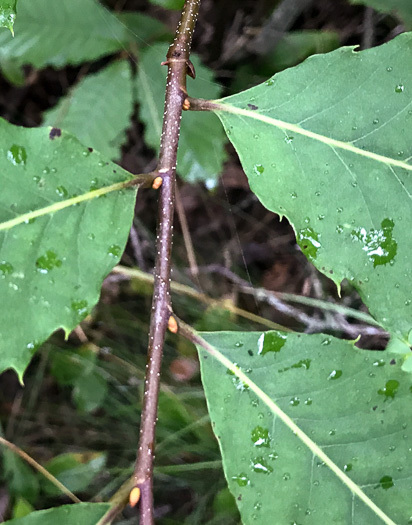 The tan lenticels look like little dashes on the brown twigs and branches, per Invasive Plants, Guide to Identification, Impacts and Control. 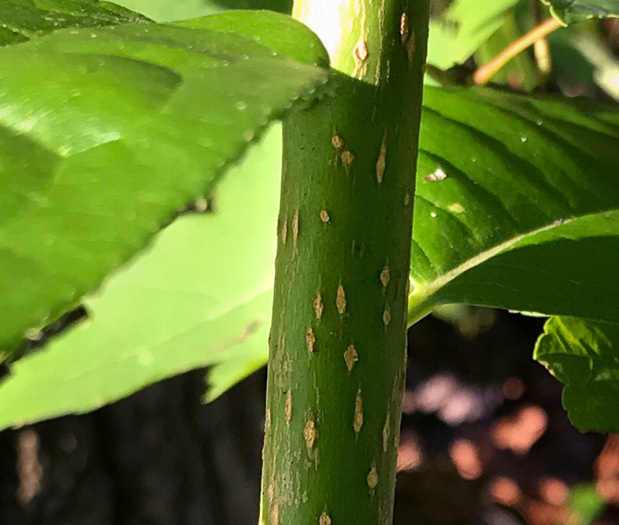 Raised dots (lenticels) become corky and reddish, per A Field Guide for the Identification of Invasive Plants in Southern Forests. 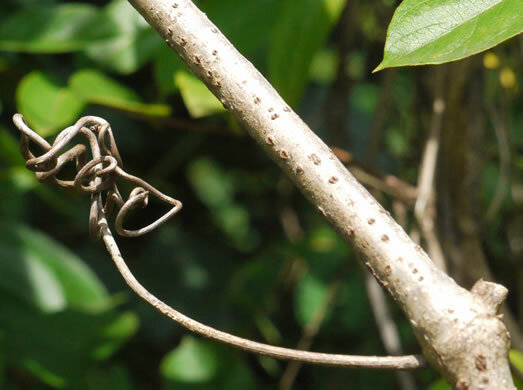 Young twigs eventually with relatively conspicuous lenticels, per Trees, Shrubs, and Woody Vines of Northern Florida and Adjacent Georgia and Alabama by Robert Godfrey. 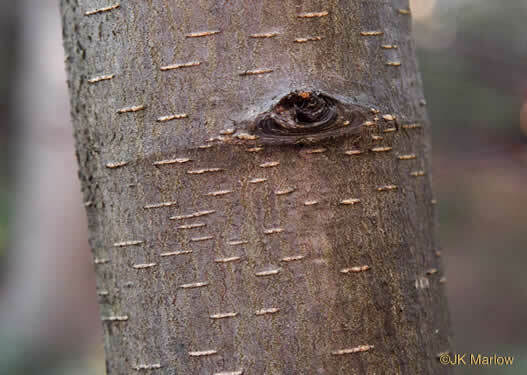 Bark is gray, mostly smooth, but marked by numerous raised lenticels, per Woody Plants of the Blue Ridge. 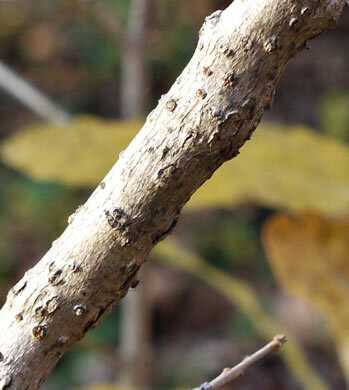 Branches brownish-gray with raised light dots (lenticels), per Forest Plants of the Southeast and Their Wildlife Uses. 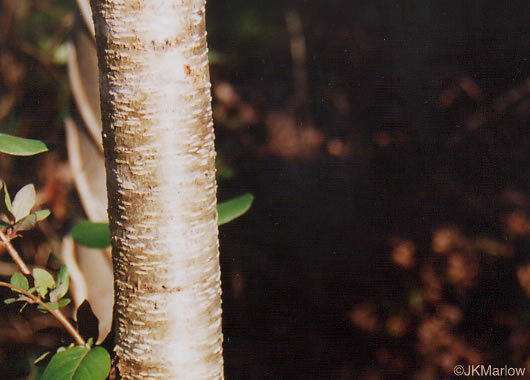 Lenticels large, pale, and numerous, per Trees of the Southeastern United States. 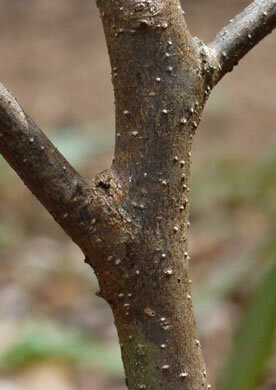 Twigs grayish, lenticellate, per Woody Plants of the Southeastern US: A Winter Guide. 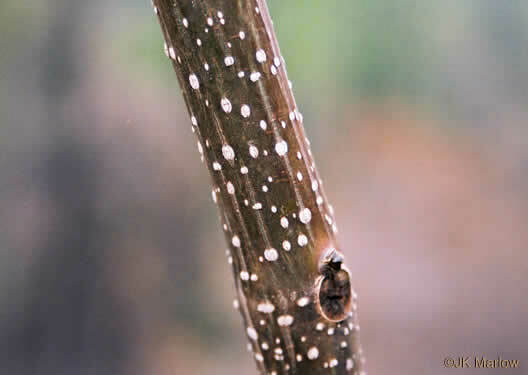 Your search found 18 image(s) illustrating the term "lenticel."